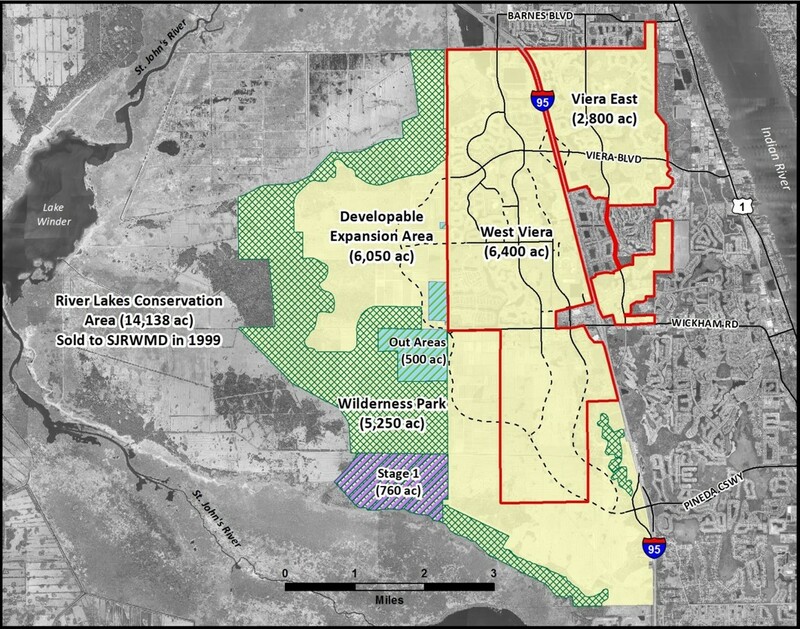 The Viera Wilderness Park (VWP) is planned with conservation in mind. The area is intended to buffer the adjacent River Lakes Conservation Area though the protection of contiguous upland and wetland systems. The Viera Wilderness Park area is roughly the size of Cape Canaveral, Cocoa Beach, Indialantic and Melbourne Beach combined. 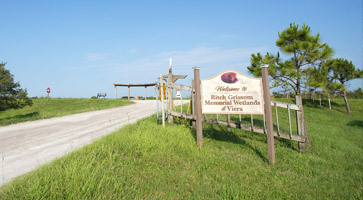 Stage 1 of the Viera Wilderness Park, containing 760 acres, was established in 2012. Protect and enhance 5,258 acres through intensive environmental management and compatible agriculture activities. Supplement the 44,000 acre River Lakes Conservation Area, which is owned and managed by the St. John’s River Water Management District. Provide a habitat for protected species including: the American bald eagle, crested caracara, sandhill crane, the burrowing owl and the gopher tortoise. Provide for continued agricultural operations, managed in accordance with a Habitat Management Plan to maintain and enhance habitat vital to protected species. 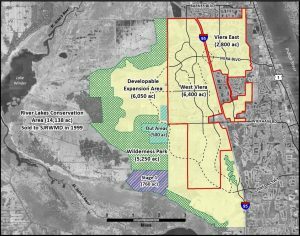 Be managed by the Viera Stewardship District, which was created by the Florida Legislature in 2006 to provide community infrastructure and ensure the long-term stewardship of environmental and conservation resources within the area. Remain free of any residential development. 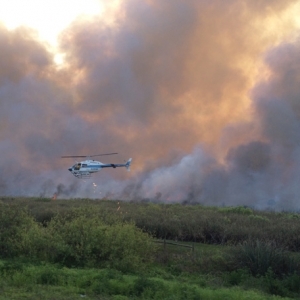 Assure the long-term protection and enhancement of Viera’s natural resources. Prescribed fire (burns) are required per the Habitat Management Plan and are designed to mimic natural fire occurrences and conditions. 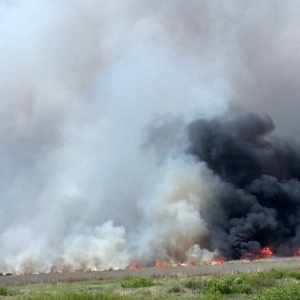 Prescribed burns reduce the build-up of thatch, which fuels naturally occurring forest fires. 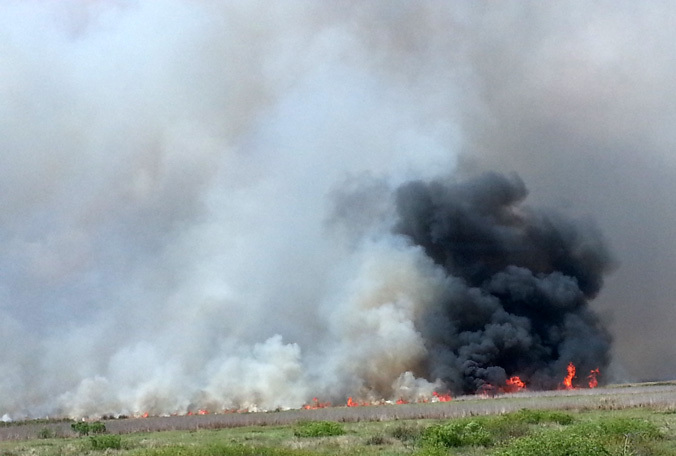 Approximately 1,000 acres are burned each year for this purpose. 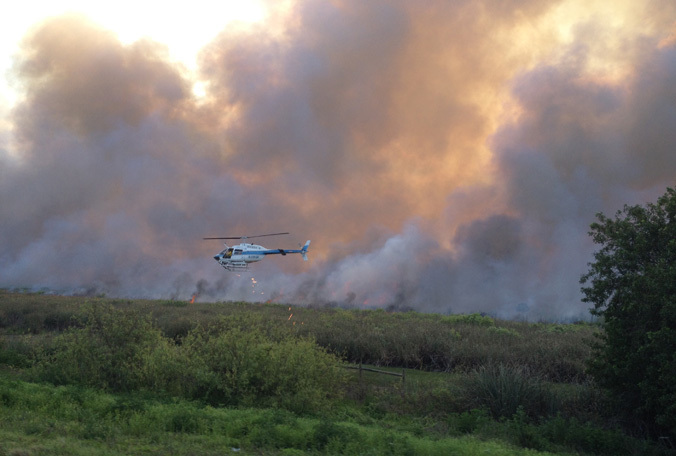 Sometimes seeing the smoke and fire in the distance around Viera can be disconcerting; however, these permitted fires are controlled and monitored by professionals and are a benefit to the natural environment.